The IWIL Book Club meets the second Thursday of each month at 5:30 at Cooper's Hawk. ​Committee reviews ATHENA nomination forms and plans the ATHENA Leadership Award Ceremony. Meetings are held on a monthly basis. ​Committee members gather information for, create and manage the monthly newsletter. Coordinates all communication efforts between committee chairs and membership. 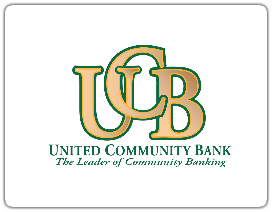 ​Committee plans and hosts the Scholarship Fundraiser and Annual Meeting. Meetings are held year-round as needed. ​Committee reviews new member applications and sends recommendations to the chair to take to the board for a vote. Committee chair maintains membership roster and coordinates annual membership renewals. Committee members help orient new members to the organization to ensure the most positive experience. They do this through new member lunches approximately two to three times each year and outreach to new members as they join. 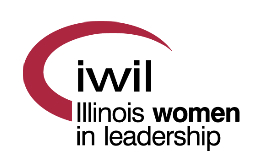 ​Committee selects and schedules speakers and program topics for each of the seven monthly luncheon meetings that support the annual IWIL theme. This committee typically works from April-July. ​Committee is the liaison from the leadership to the membership and from the membership to the community at large. Involves covering all IWIL events to appropriately share with media outlets and social media platforms. Responsible for updating and maintaining the IWIL website. ​Committee handles monthly meeting registration and payments including organizing member and guest name-tags. Committee also works the registration table at meetings to ensure all attendees are properly checked-in. Committee reviews and evaluates all scholarship applications, which are received each spring. Time commitment is intensive during one month, typically in March or April each year. ​Committee plans and hosts the day-long conference in September each year and is made up of various subcommittees including: programs, logistics, marketing/PR, exhibitors, audio/visual, registration, and more.